Actually it was my brother’s birthday, for which my family and I trekked through the himalayas the city to get to a Mediterranean feast. I say trek because my house is kind of quite far from the city. It is my Everest getting up each morning to get to uni by 9am! To be quite honest with you, with the reviews and reputation of Almond Bar, I was expecting something a bit bigger. I thought maybe Almond Bar was named as such because Almond Restaurant was a mouthful, or the owner was trying to be a little ironic. It is in Darlinghurst. But no, right on point, it is a bar sized place, on the corner of two streets. Despite being so small however, I don’t think we felt even at one point that we had no room in the narrow construction of the restaurant. Admittedly, we were not there while there were any larger parties, but considering it was still quite full, we managed fine, as did the waiters I noticed. The tables are a little on the small side (classic restaurants) and there are seats and cushions reminiscent of their cuisine theme. Dim lighting set the mood as well, I mean, Mediterranean is mystical more than bright lights and colours! This was a really good idea, to introduce the customer to a small hit of Mediterranean flavours before punching them in the tastebuds with proper dishes. My favourite almond? Well, the couple I could actually get my hands on before my mum (hey, if I am going down, go down in style no? ), were the sesame seed and the coconut dusted one. I liked the crunch on crunch factor with the sesame seeds but preferred the coconut one, since the sweetness went quite well with the almond flavour. Once ordered, we settled in and pre-emptively loosened our belts (you know my family by now, we don’t know how to control our order size!). We also tried not to gorge down the drinks – and what drinks they were… I had to look this one but my entire family fell in love the Coke of the Middle East. Actually, comparing it to Coke is embarrassing because it was so. Much. Better. 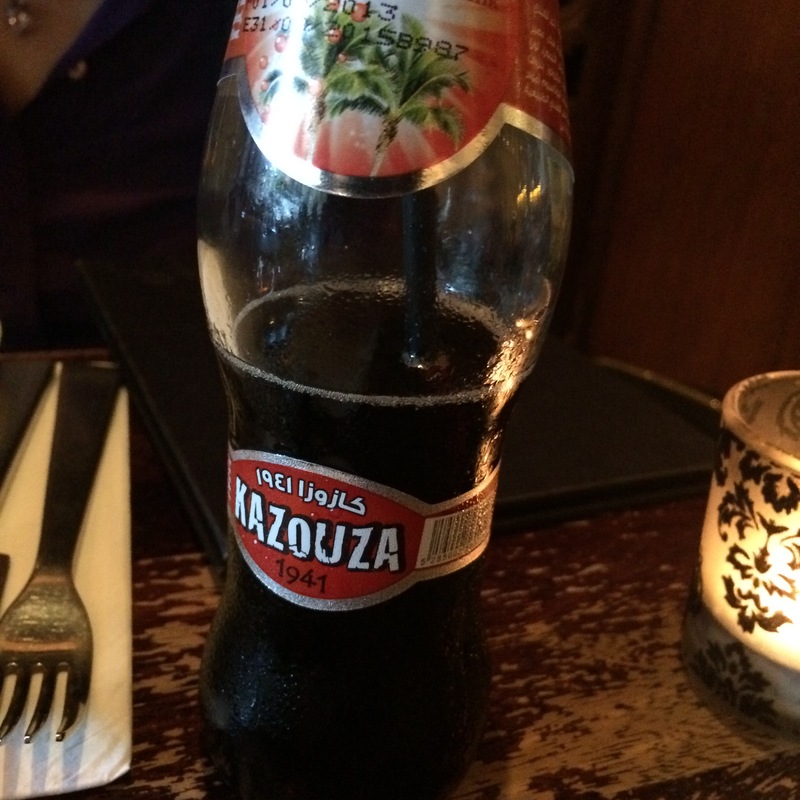 The Kazouza ($4.50) came chilled in a glass bottle. Although it was served as Tamarind flavoured drink here, the whole range comes from Lebanon and is their sparkling fruit juice equivalent. 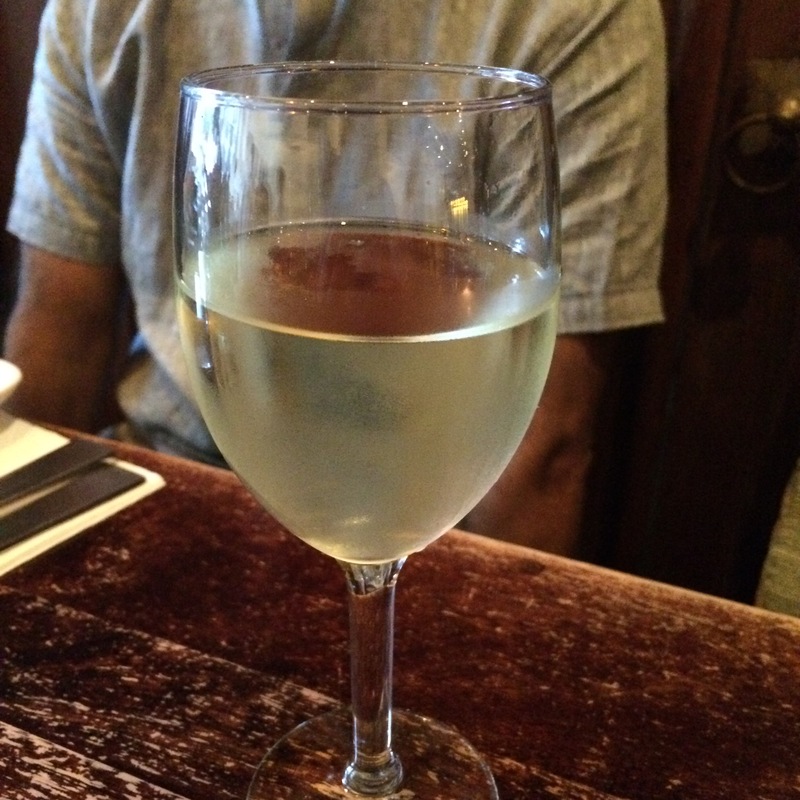 It had a pungent sweet taste that was rich, almost like wine in my opinion, and spicy as well. One of the most delicious drinks I think my family has ever tried! So much so that my mum, my brother and my dad got one. Each. The service was also quite efficient despite the small quarters of this restaurant, and before we knew it, our table was being filled up with all sorts of delicious nibbles. I say nibbles, but these were nice hearty portions, unlike those frou-frou restaurants! The za’atar, a mix of thyme, oregano, sumac, sesame seeds and sea salt was probably my favourite. It was strong and salty when it hit your mouth, and left a pleasantly tangy aftertaste. 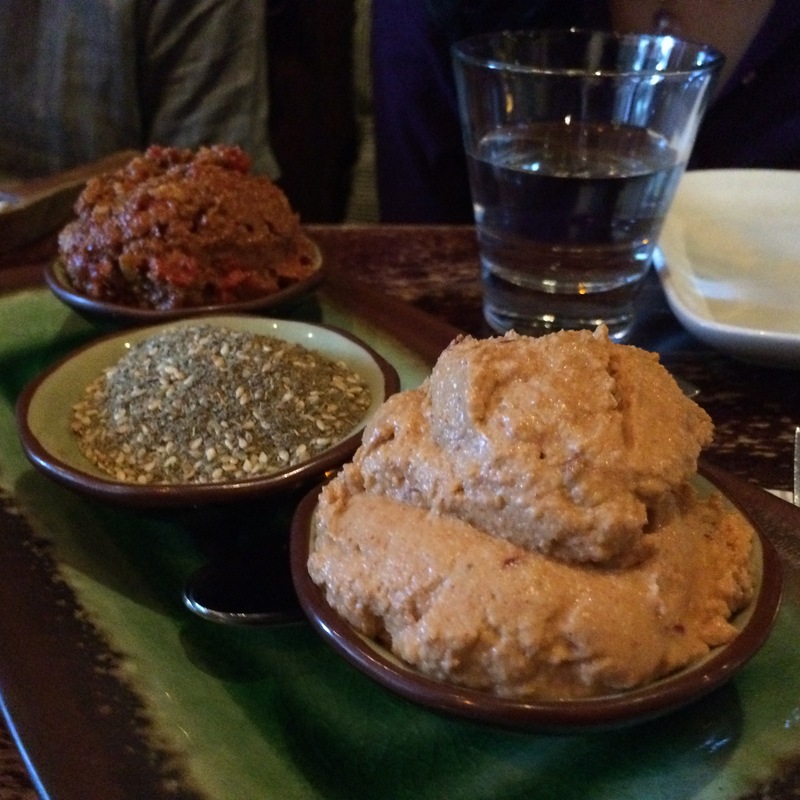 The chilli hummus was delicious, though I didn’t find it quite as chilli as I was expecting. But it was smooth and creamy. The muhamarra was almost sweet in a way, due to the pomegranate in it, but very rich due to the roasted red capsicum. 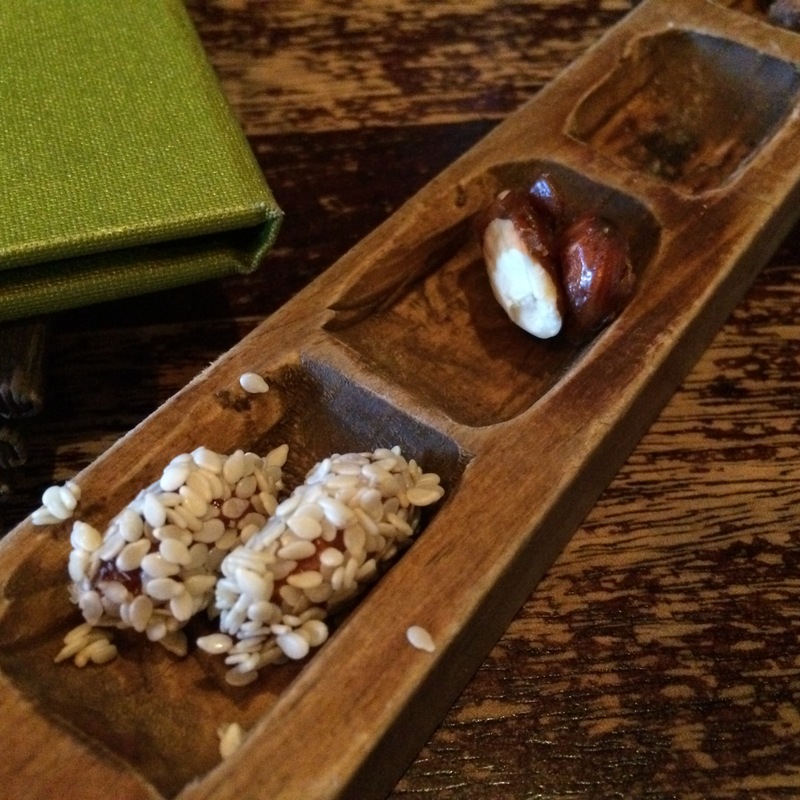 I also liked the nutty aftertaste from the walnuts. For our salad (salata), which I took a taste of then remembered I was a child and therefore do not eat salad, was the Baladieh Salad ($15.50). I am not much of a salad eater, so my opinion is probably biased, so I will go by my mum’s. 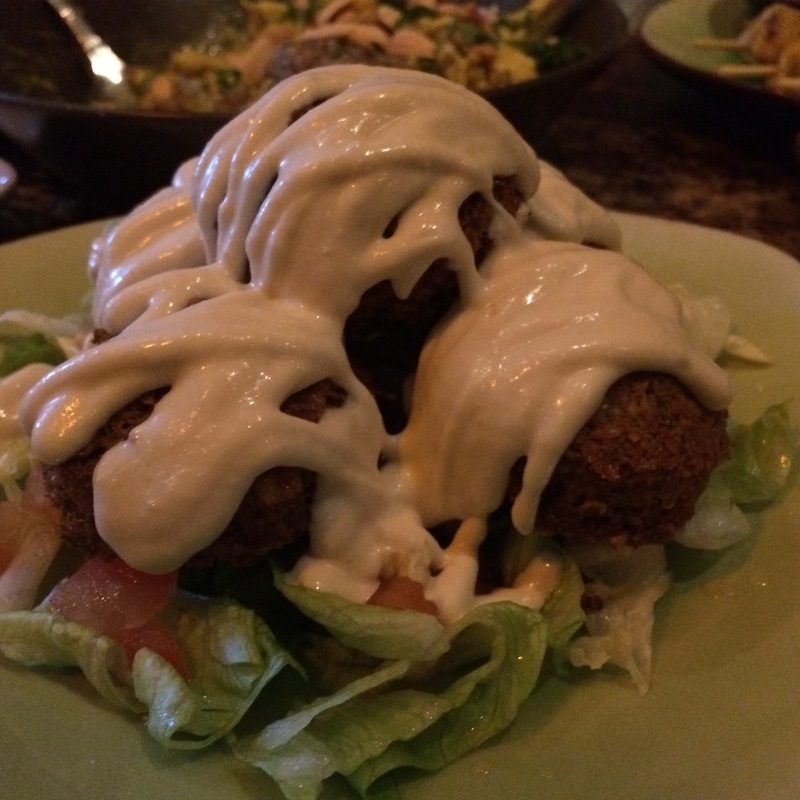 She really enjoyed the chickpeas and the Baladieh cheese combination, and the dressing was tangy but refreshing as well! 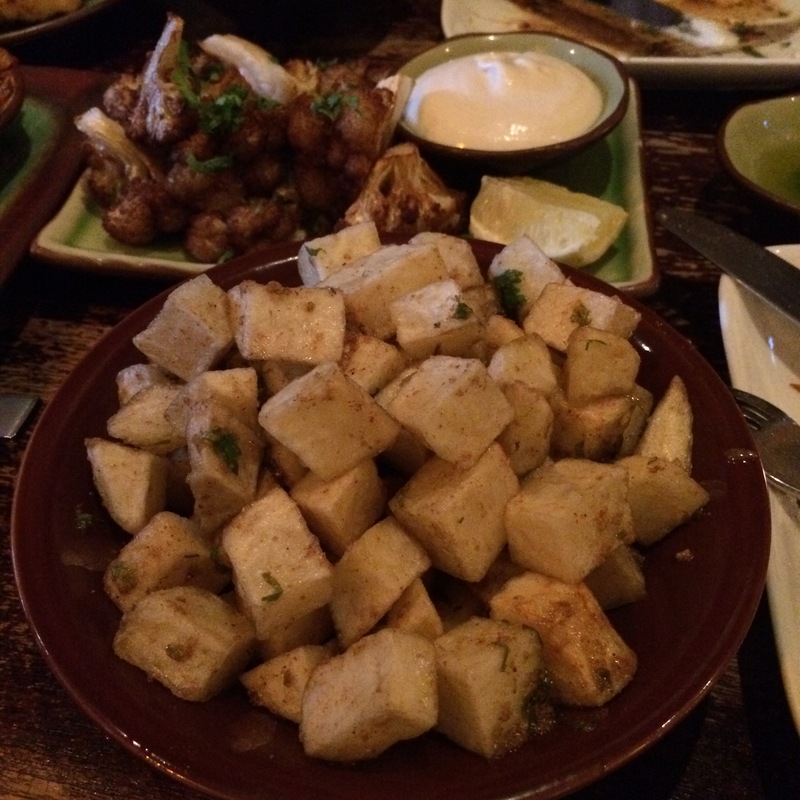 The Coriander Potatoes ($11), were a generously sized dish of cubes of deep fried potatoes seasoned with, I don’t know, coriander maybe? 😉 and a hint of garlic too. These were addictive. Despite not being golden and ‘looking fried’ as I had expected, they still maintained a crisp skin and soft inside, even after going cold. 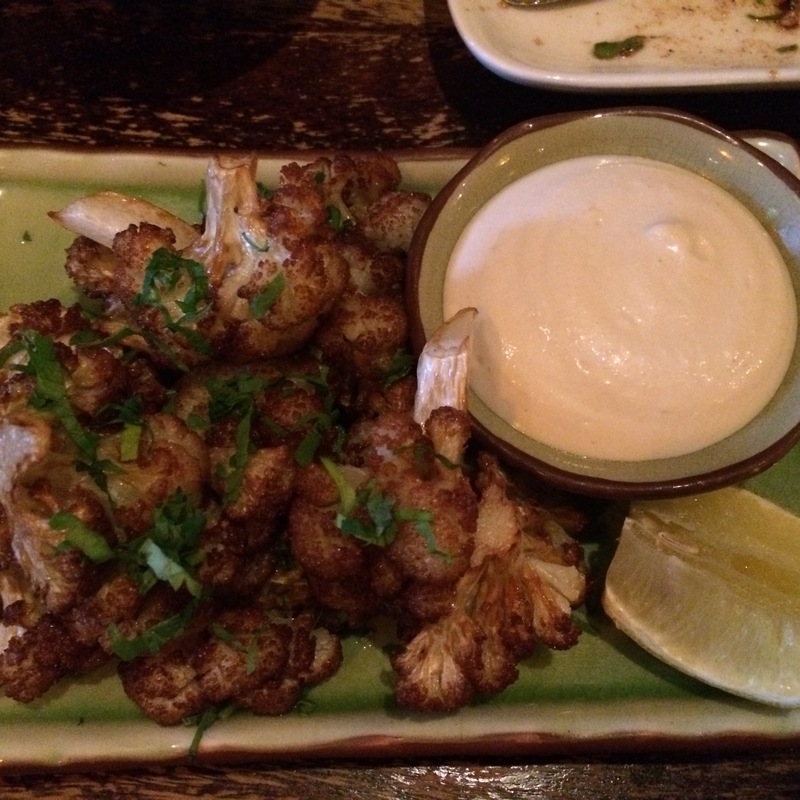 Behind it, as you can see, are the Arr’nabit ($13), or traditionally fried cauliflower with some more tahini dipping sauce. Another addictive side dish that basically became our meal, the cauliflower was a delicious addition to the table. I found a few that were overcooked though, slightly tougher and chewier (what am I explaining, meat? ), but overall, it was quite good. My dad also had a ‘por que no los dos’ moment when had problems deciding between his favourite things – chicken or lamb. The classic debate just never ends for you omnivores does it? 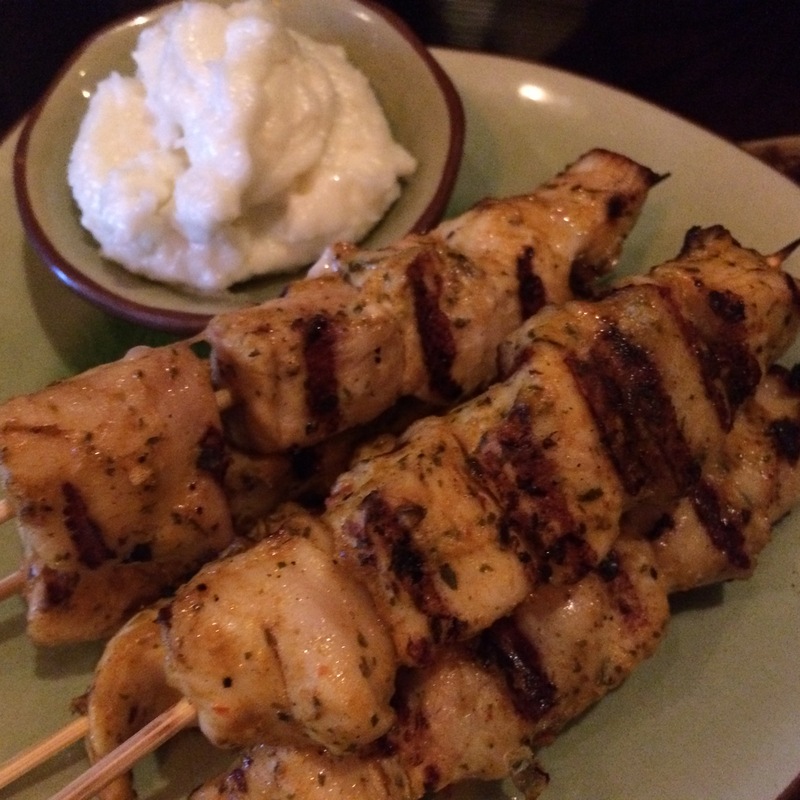 He initially ordered the Free Ranged Chargrilled Chicken Skewers 500g ($21), and because this dish didn’t have a cool Middle Eastern name, decided it was his duty to also order the Sumbusic ($14.50), a fresh pastry filled with minced lamb, spices, onion and pinenuts. I tried a bit of pastry off the side and it was golden, puffy and just reminded me of McDonald’s deep fried apple pie pastries. But so much better because it was fresh! The chicken, by looks alone I am sure you can tell, was delicious. Wish I could tell you more but that is all my dad said after he launched into the dish. Now onto dessert. 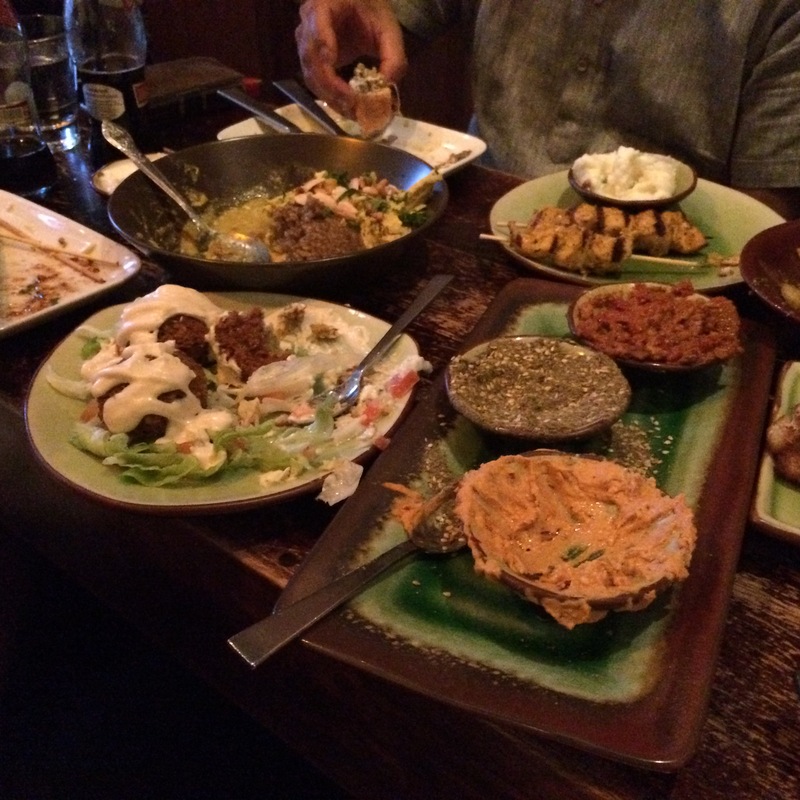 As soon as we had ordered, and just were casually chilling, pretending every breath was not difficult to take, suddenly the lights dimmed even more and wild middle eastern tunes filled the air. Literally we all looked at each other and mouthed ‘bellydancer’. After such an entrance to the dessert, it was not a letdown at all! Firstly, we ordered the Almond Pancakes ($13.50) to share, and divine doesn’t even come close. 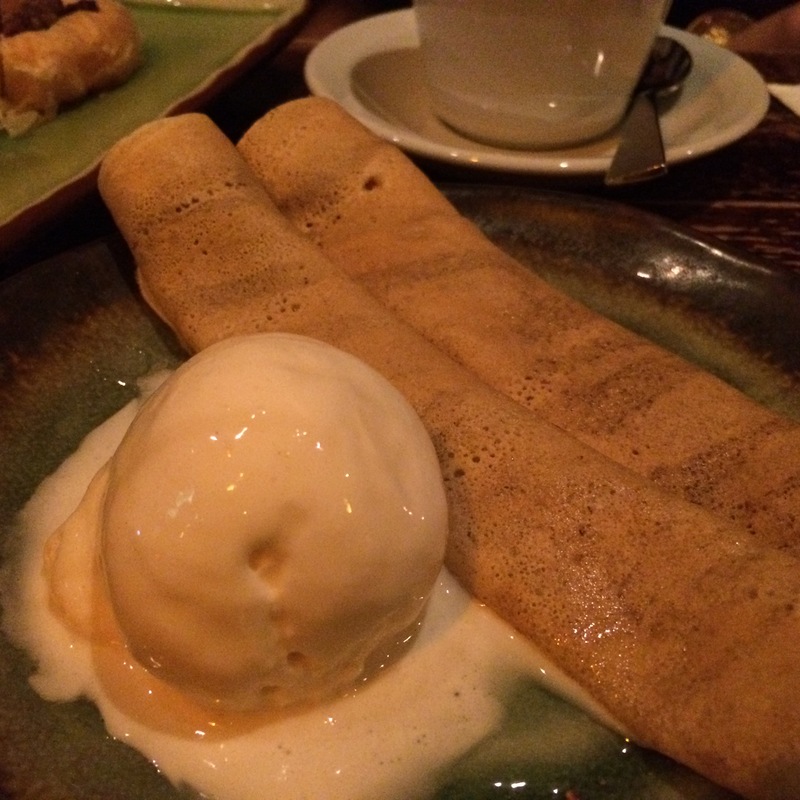 A soft crepe thin pancake was filled with a sweet, sugary almond paste, all warm. On the side was the classic vanilla ice cream and it complimented the creaminess perfectly. I got the Rosewater Ice Cream ($9.50), which featured two generous scoops of freshly made goodness that left a flowery taste in the mouth. Definitely my favourite dessert of the evening! And I know it does not look pink here but it was a lovely pale pink! 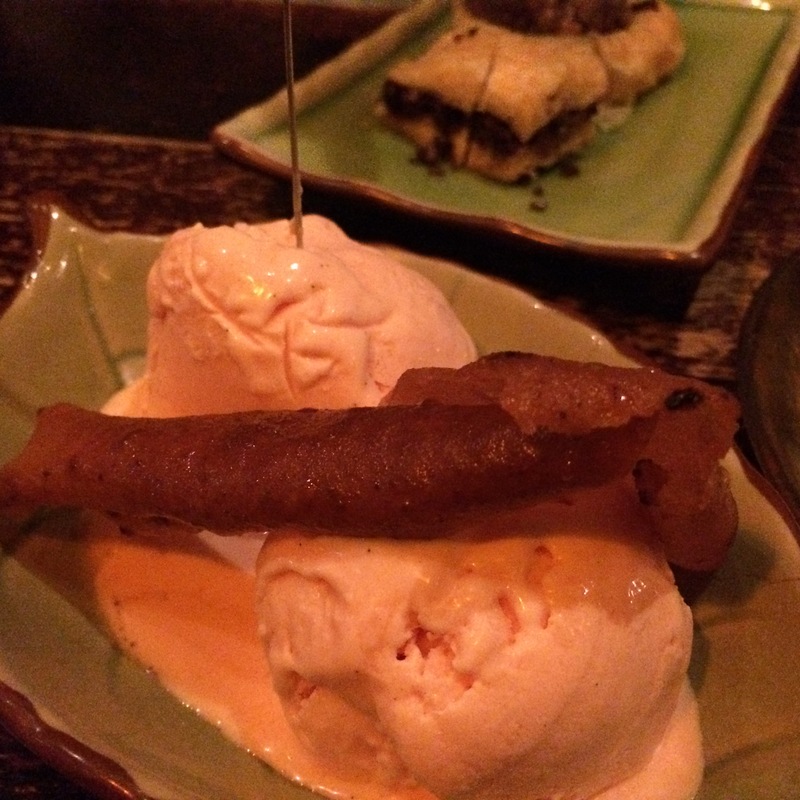 It was also served with a deliciously crunchy piece of this thinly rolled out fried bread.. 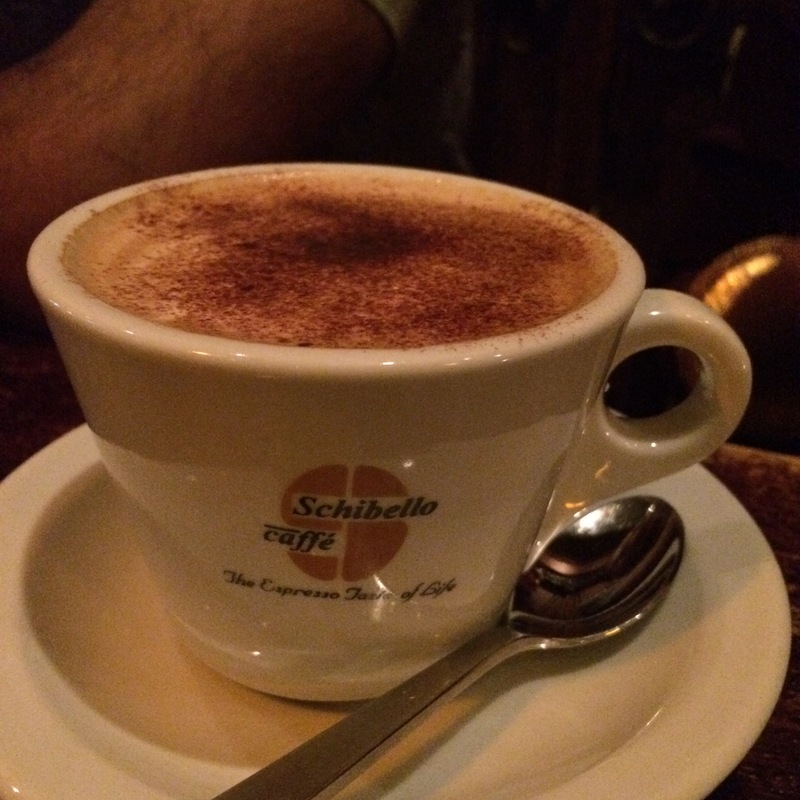 The parental units indulged in customary coffee ($4), though I still think they should have gotten the Turkish coffee and gone crazy with energy all night! Sounds like a great place. Wish I were there to sample those Almond Pancakes! Simply damn delicious n comforting meals!!! You dine in some of the best places. 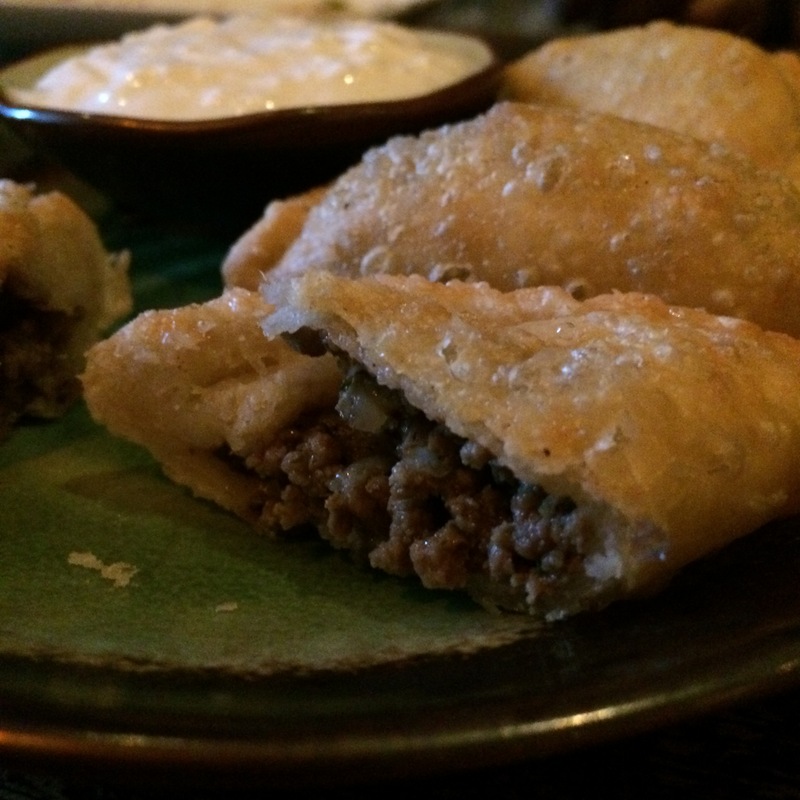 Middle Eastern food is my new favourite! I absolutely love it. Wish I lived close enough to try this restaurant. What a fabulous feast! 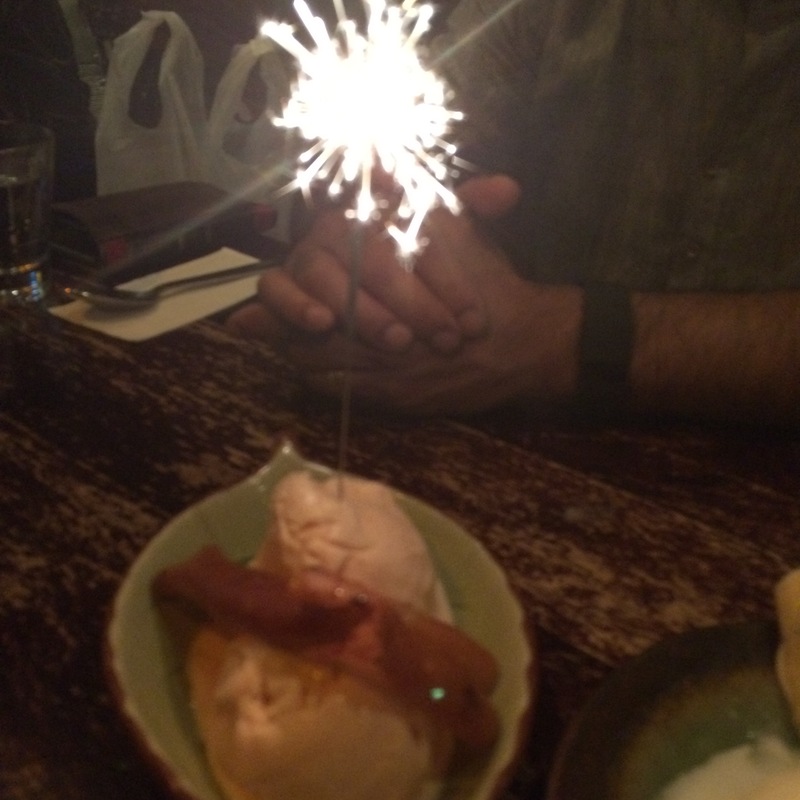 The rosewater icecream would have been amazing. What an honest review. I would definitely eat here after seeing your chosen dishes but would chose hubby’s birthday rather than my one to celebrate there … lovely photographs, gorgeous vegetables, lovely olives, dips and healthy mains. Definitely have to finish with a cup of steaming coffee. This food looks excellent! Every photo looks like something I’d enjoy. Olive oil in anything for me 😀 But yay, another non-oliver! It did look like it was a birthday celebration 😀 Heaps of fun and heaps of food! What a delicious feast! I wish i could eat some of these delicious dishes! 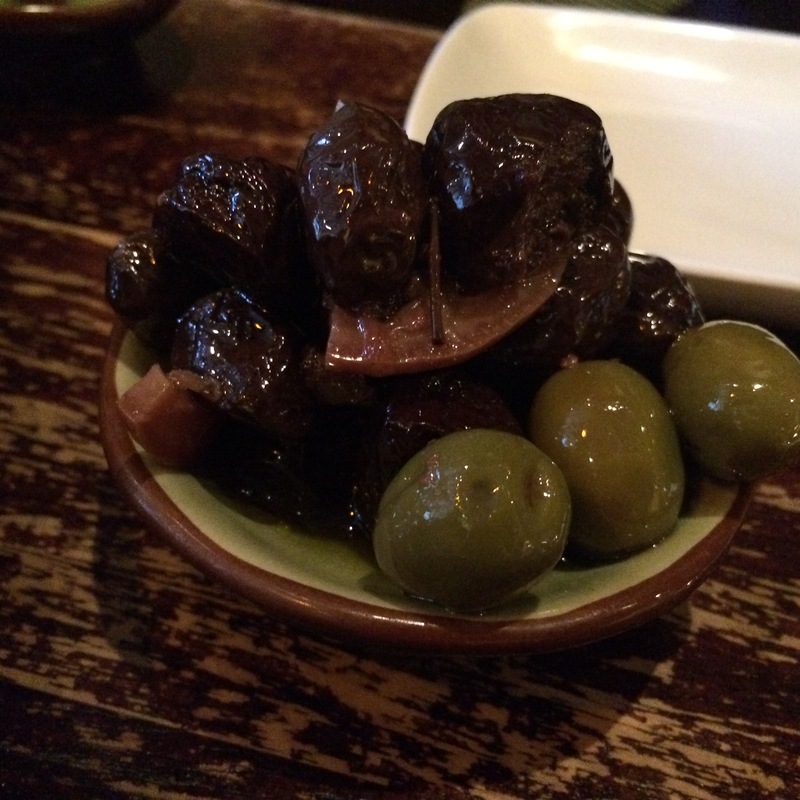 You are only the second person I know that doesn’t like olives…I’ll be happy to take your share. It sounds like a nice restaurant and I’m sure your brother enjoyed his celebration. 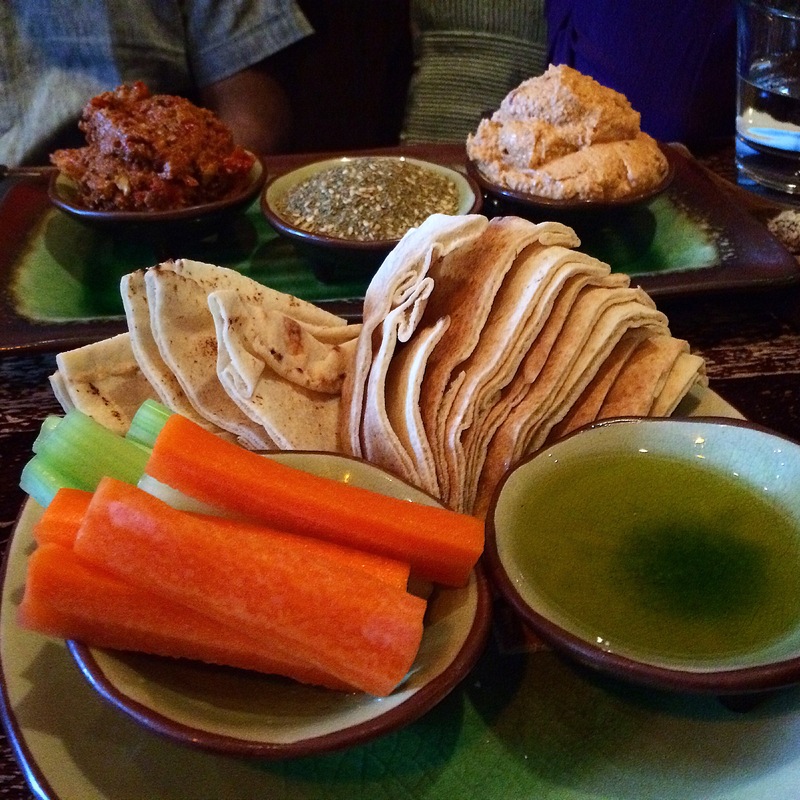 you had me at chilli hummus! THEN BAM that almond crepe!!! 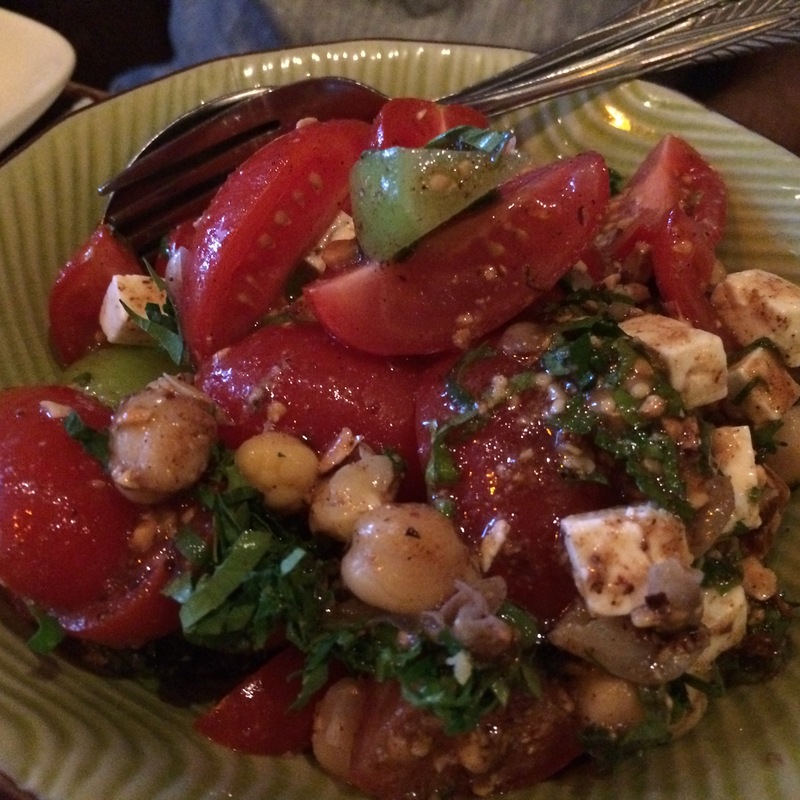 The baladieh salad sounds delicious with the combination of chickpeas, cheese and a tangy dressing. He Uru, what a cool restaurant to go to too, the food looks and sounds amazing! Happy belated birthday to your brother. 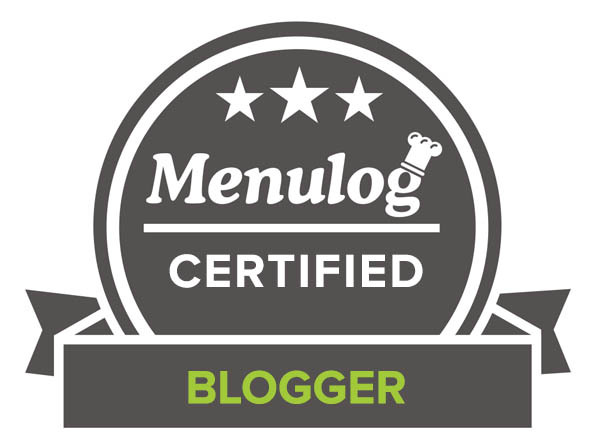 Thanks for always checking in on my blog xoxoxox! Now I want pancakes and ice cream…your description sounds awesome! Hope you had a happy Easter. Have heard much about this spot – will have to stop by soon, but really I just can’t stop staring at the deep fried cauliflower. One of my favourite dishes! I like small little restaurants like this, especially ones that appear to be really focused on the food. Wouldn’t mind that coffee right now, It’s very early here! They had Turkish coffee as well, which I was urging my parents to try (because I hate coffee) but they said they would never get to sleep 😛 Maybe try that in the morning haha? What a feast for the eyes, darling. This is awesome!! What a feast!! Ok, now I’m hungry! Haha we always over-order 😛 Thank you! 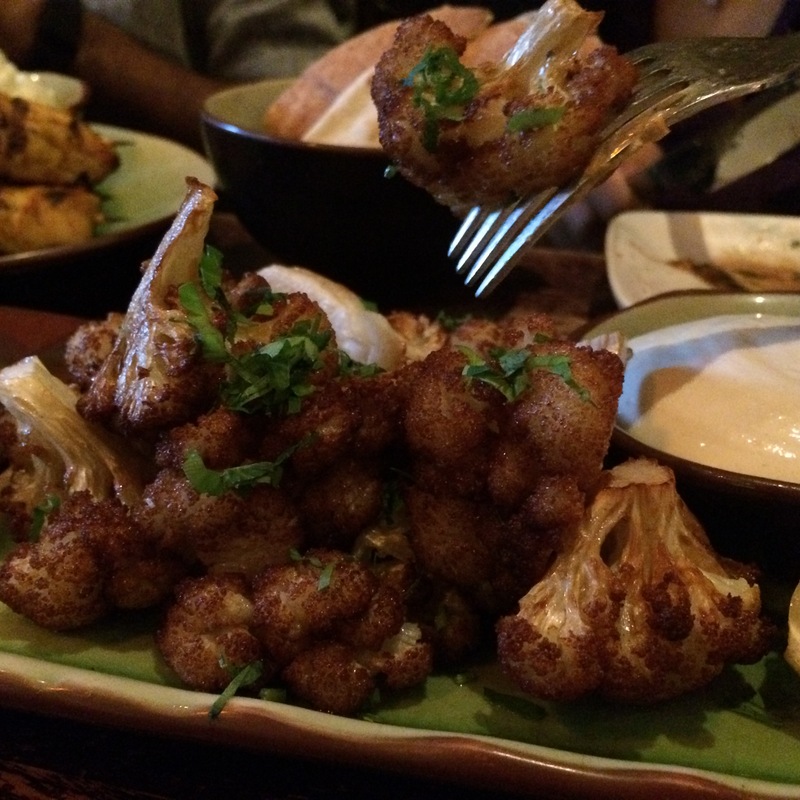 Oh yeah… and that cauliflower… wow! That’s our kind of meal. Once again, wish we were closer to enjoy such a neat little restaurant. 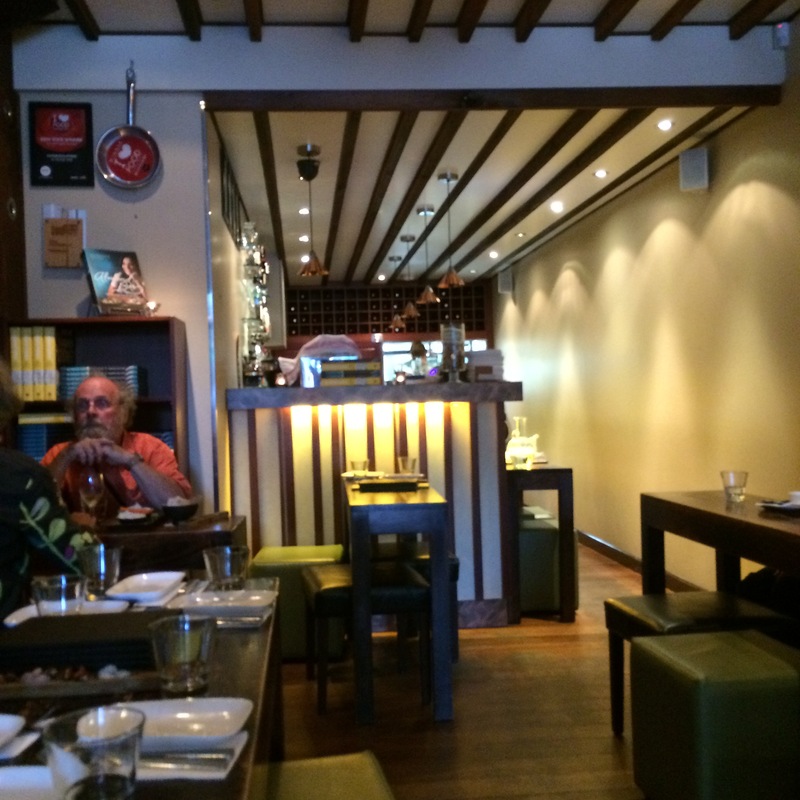 Really interesting dishes, nice to have somewhere that does something different. Looks like a good place…the almond pancakes sound excellent. Belated Happy Easter and here’s hoping you have a better week! 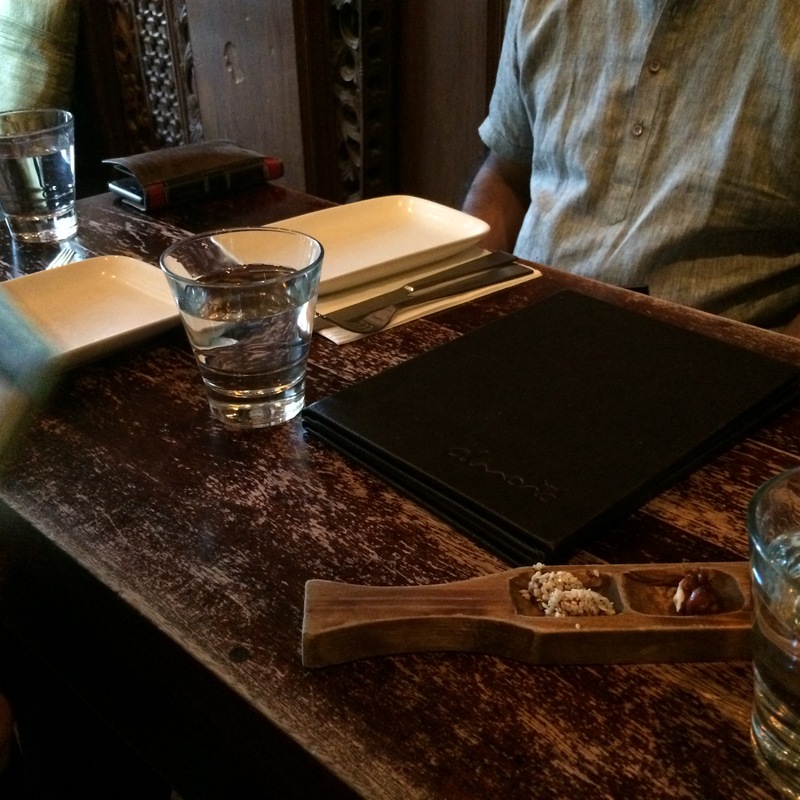 You took full advantage of the menu to enjoy a Mediterranean food experience! What a lovely meal. You and your mom obviously have a wonderful relationship so that you can tease her as you do! I love to read about your family and it sounds like you celebrated your brother’s birthday in style. Lovely photos–you definitely made me hungry! I hope you did have a very lovely Easter! I am very lucky to have parents who are also best friends in their own right 🙂 And yes, epic celebrations full of food are the only way to go – hope you had a wonderful Easter too my friend! Wow, I love everything you all ordered! What a feast! Looks like a wonderful restaurant. 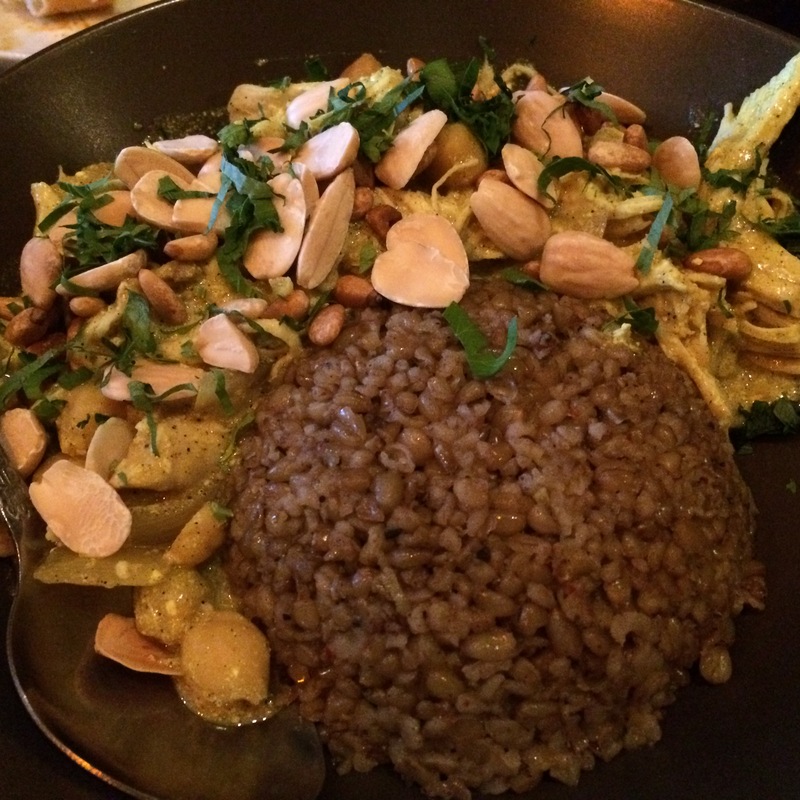 Oh, yum, Mediterranean! CCU, I agree with you that sweet baklava is the best. Never had it savory. Sounds like you and your family had a wonderful time. Do you all ever take home leftovers? Happy Easter to you and yours, Uru! It looks like a very delicious meal, I love particularly those fried cauliflower florets with tahini dipping sauce. Happy Easter CCU! As always, such a grand review. 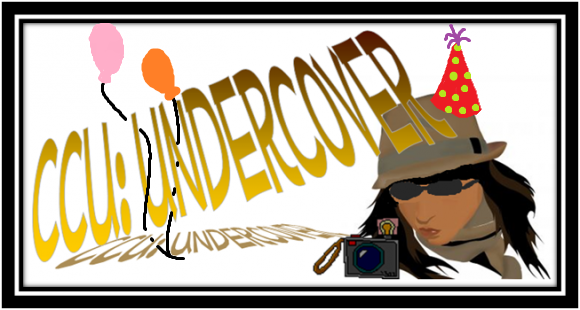 WHOA girl –high five for an awesome undercover job! !! This place has got to the coolest little nook–you’re flying me over first thing, right? Almonds almonds almonds! Also, Mediterranean food is just my jam 🙂 whoo whoot! Sounds like such a nice place! Terrific review, and you had more important things to write about last week. Happy Easter! The appetizers weren’t too appealing to me (I don’t care for olives either) but the chicken skewers and the sumbusic and the mansaf looked delicious. A slice of the baklawa and a strong cup of coffee would be a great end to the meal. Finally, another olive not-liker haha, we are quite rare!